Blizzard have unveiled the card back that will be earned for reaching rank 20 in the January 2016 ranked play season. Blizzard are seemingly looking to build on the cheer spread throughout The Feast of Winter Veil. 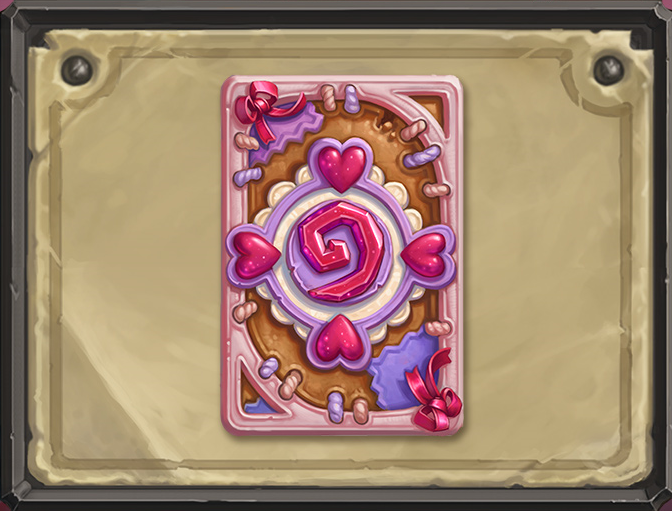 The card back is titled "Love is in the Air", while the season is called "You've Won My ♥-Stone". The card back looks ideal for use on Valentine's Day, and we are encouraged throughout January to "Give your opponents a big hug"
This will be the 22nd season of ranked play.